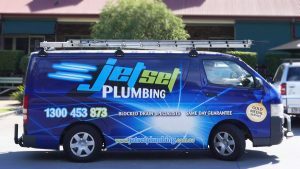 We are your local Plumber Brisbane, we specialise in Brisbane Blocked Drains, Brisbane Leak Detection, Brisbane Hot Water Systems and Brisbane Plumbing. We provide a Same day Plumbing service so whenever you have a plumbing problem, you know you can rely on us. Plumber Brisbane is the brand you can trust as we are trained experts in our field. Plumber West End provide solutions for all your plumbing needs. Let us at Plumber Brisbane worry about your plumbing and drainage issues and solve all the problems in your plumbing system. Plumber West End has been servicing West End and the greater area of South-East Queensland for over 20 years. Our goal is to deliver our valued customers a guaranteed professional service that is not only affordable but guaranteed to leave you satisfied 100% of the time. If you are a home or business owner and need a plumbing service carried out, get in touch with us today.